Global expert on the Sharing Economy, public speaker and social entrepreneur, Benita Matofska is the Founder and Chief Sharer of Compare and Share, the world's first comparison marketplace of the Sharing Economy. In 2012, as a modern campaigner and entrepeneur, Benita Matofska was invited to give a prestigious TEDx talk to discuss the new economic model of a sharing economy, a collaborative consumption model used in growing global marketplaces. 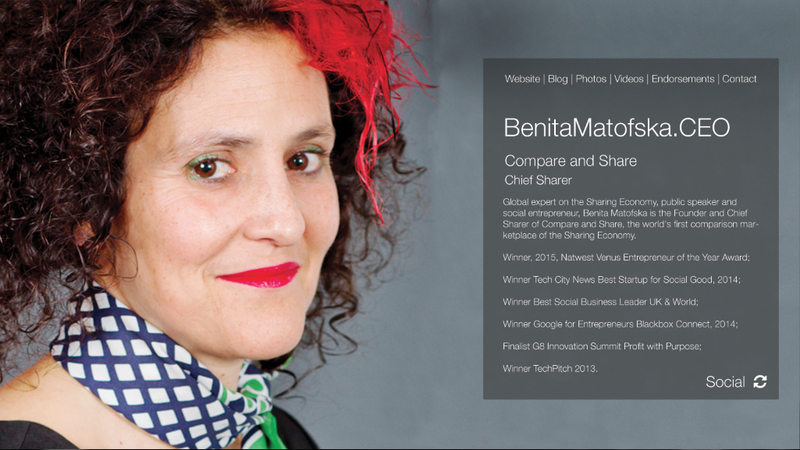 Download our White Paper and learn more about Benita Matofska and thousands more CEOs.